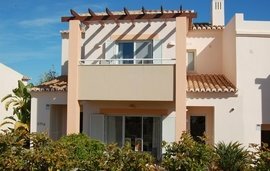 Algarve real estate varies across the region, with many resorts and new developments along the southern coast and traditional towns and villas throughout the countryside. The west coast remains slightly less developed, with inland areas much quieter and more affordable. The most popular location in the Algarve for international buyers is Lagos, with its fashionable resorts and high rise developments as well as attractive townhouses. 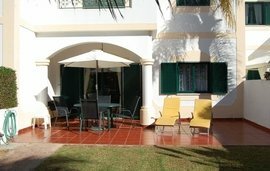 Loulé is another popular option, particularly for Algarve apartments on or near resorts. 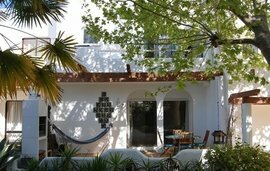 Areas like Tavira are also becoming increasingly popular, where Algarve property for sale include peaceful quintas and beautiful Moorish townhouses. The Algarve is renowned for its beautiful beaches and world class golf courses, which, together with great seafood and a calm pace of life offers a very appealing lifestyle. Small markets and local celebrations for saint’s days and religious festivals are commonplace in the Algarve. Mardi Gras is a particularly big occasion, with many other events taking place throughout the summer when the population reaches its peak, thanks to an influx of tourists. The main tourist destinations have excellent leisure facilities catering for golf and tennis fans and families with young children. For those who prefer a quieter pace, you can escape to the traditional inland villages or along the Via Algarviana walking trail. Let us assist you in finding your perfect villa, apartment, holiday home or investment property in Algarve, Portugal. For more details, call us on +44 (0) 203 941 9800 or contact our estate agents in Portugal. The Algarve is served by an international airport in Faro and public transport is good, particularly along the coast and between the main tourist destinations. Rail connections to Lisbon are particularly good, with frequent express trains from all the main towns. The A22 motorway runs along the coast. As one of the most popular destinations in Portugal, the Algarve is the ideal location for anyone looking for an apartment or holiday home close to resort facilities. Algarve property can be a good investment if you are planning to let, as holiday rents are high. Algarve villas in the less developed, more remote areas can be less expensive, and provide an easy escape for anyone who enjoys a more tranquil pace, away from the buzz of summer crowds.